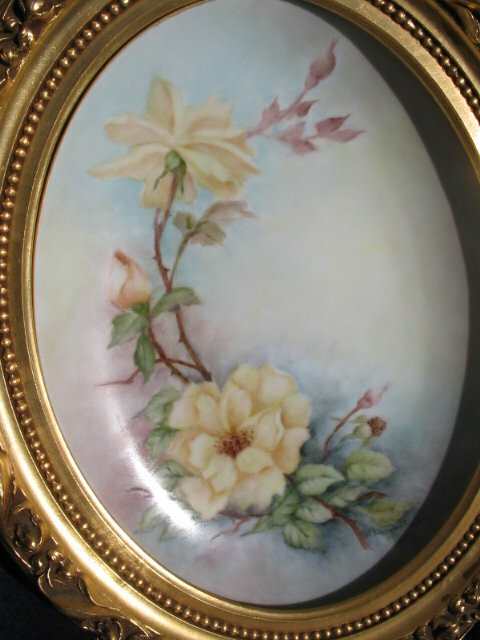 HERE IS A STUNNINGLY BEAUTIFUL HAND PAINTED ARTIST SIGNED (M. LANDUYT) PLACQUE/PLATTER ATTRIBUTED TO LIMOGES FROM THE HAND PAINTED ERA (1890-1915). 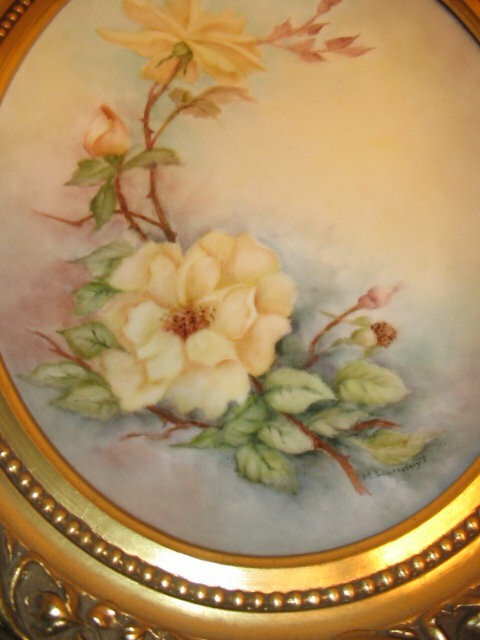 THE CONDITION IS EXCELLENT AND FEATURES A PLATTER THAT HAS ABSOLUTELY GORGEOUS PAINTED YELLOW ROSES AGAINST A CREAMY BACKGROUND OF VARIOUS HUES. 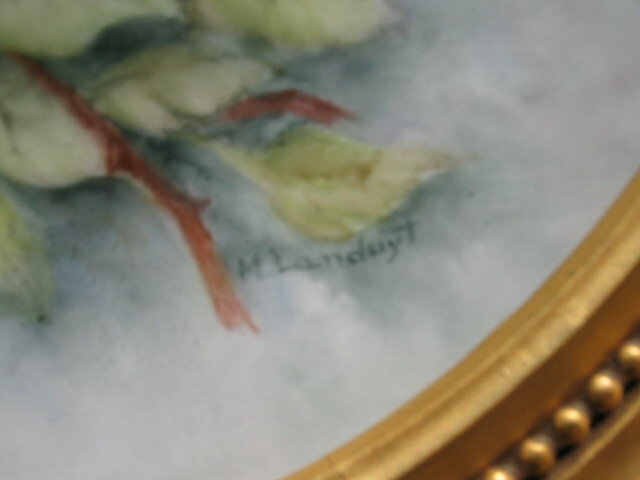 THE PLATTER WAS PROFESSIONALLY WOOD FRAMED BY THE DELMORE ART STUDIO IN OKLAHOMA CITY, OKLAHOMA. 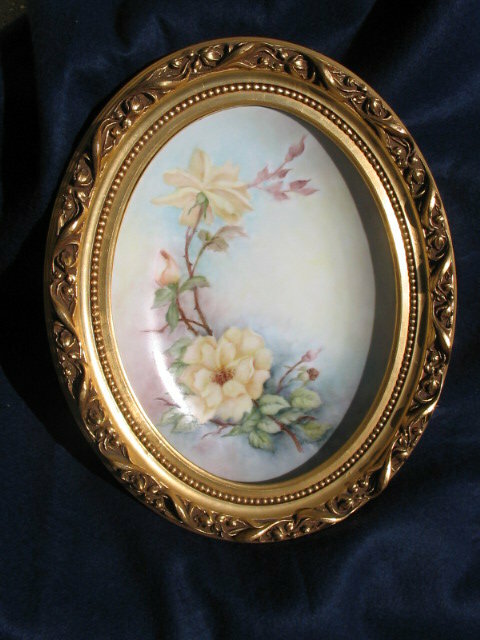 THE OVAL PLATTER MEASURES 12" X 9" AND IS 13" X 19" WHEN FRAMED. NO CHIPS,CRACKS, HAIRLINES OR REPAIRS. NO MARKS. Items Similar To "LARGE H.P. LIMOGES PLACQUE/PLATTER"